Mercedes-Benz CLS 400 grey/silver sedan, tan on the inside with ABS and air conditioning. 19″ wheels. 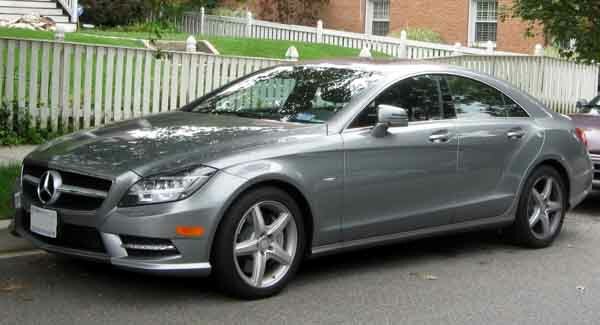 Mercedes-Benz CLS 550 black sedan, brown on the inside with airbags (front and side) and ABS. 20″ wheels. 2013 Mercedes-Benz CLS 63 AMG with Airbags (front and side), 18″ wheels and ABS. Price reduced! GCC spec CLS 550 from 2006 for AED 32,000 with a 8 cylinder engine. White sedan with black interior. It has parking assist and rear camera. Automatic, 18 inch wheels, climate control, tuner/radio, beige interior, white exterior. Automatic 2019 Mercedes-Benz CLS 450 price AED 383,250, with 20 inch wheels, leather seats, CD player, beige interior, black exterior. GCC spec. GCC spec Mercedes-Benz CLS 350, gold sedan with beige interior. It features performance tyres, 17 inch wheels and fog lights. Imported spec CLS 350 from 2012 for AED 95,000 with a 6 cylinder engine. Black sedan with black interior. It has MP3 interface and air conditioning. GCC spec 2015 Mercedes-Benz featuring navigation system, USB, heated seats. Gold with tan interior. Imported spec Mercedes-Benz CLS 550 with Sunroof, 18″ wheels and Sport suspension. Price reduced! 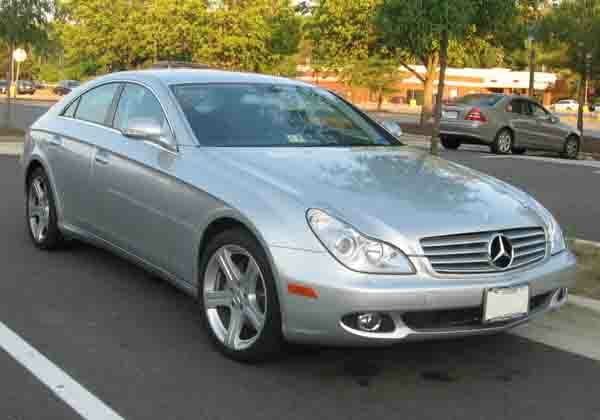 Imported spec 2006 Mercedes-Benz CLS 550, 8 cylinders, grey/silver sedan with black interior. It comes with bluetooth system and power locks. Faizan - Used CLS 55 AMG is a fantastic car, not only does it look good it sounds great as well. Many interior options to choose from and the four-seat setup gives it a luxurious cabin. Pros: Spacious back seats and looks. Cons: High price in top trim. Ahmed - I got my import pre-owned CLS63 AMG for a good price in Dubai. Excellent car looks and power. Highly recommend anyone buy these cars for speed and luxury. Cons: Rear isn’t ideal for tall people. John - I must be one of very few owners in Dubai who owns a second hand CLS 350 Shooting Brake as I haven’t seen any others. Sensational cars with their unique style and fully loaded interior. Pros: Looks, power and options. Cons: Not much boot space for a Wagon. It’s the best of both worlds! Categorised as a “Luxury Coupe,” it’s part sedan part coupe. Resale value. Whether it's a CLS55 AMG or CLS 350, you’ll find a buyer pretty quickly same goes for if you are looking for a used Mercedes CLS for sale in Dubai, UAE. Basic options are lavish. Leather seats, Bluetooth and cruise control. What more could you ask for? A variety of engines. Here in the GCC, we’ve the V6 and the V8 to choose from, however, if you’d like an inline 4, you can import one from overseas. All three engines are quite powerful too. 4Matic is available. The drive is mostly sent to the rear wheels, in higher trims, though; all-wheel drive is available for more control. In production since 2005, these models slot in between the S-Class and E-Class models. Moving far away from the usual boxy shapes of other Mercedes-Benz, CLS’s had a more fluid and streamlined body with the same old interior stuffed inside. Nonetheless, it proved popular around the world. Featuring both luxury and power, it’s no wonder rivals such as the Porsche Panamera, Audi A7 and BMW 6-series are trying to take sales away. All models come standard with climate control, cruise control, CD Player, front and side airbags and powered accessories. Additional extras include navigation, keyless start, power sunroof, ventilated seats, memory seats, bi-xenon headlights, parking sensors and radar-assisted cruise control. During the first few years, only V8 engines are available, and the line up consisted of the CLS 500 and CLS 550 with displacements of 5.0 and 5.5-litres. 2007 saw the introduction of the CLS 63 AMG model with the potent 6.2-litre V8 engine. 2009 models expanded the range once again with the introduction of the CLS 350 with a 3.5-litre V6 and the lesser known and only available in export markets CLS 280 and CLS 300 with a 3.0-litre V6. All models had power sent to the rear wheels via an automatic transmission. Alongside the standard models, two special editions are available; CLS Grand Edition, which has a selection of four body colours, various unique trim pieces, correct badging and 18-inch rims on each corner. CLS Sound Suite is the other edition, with the only modification to this one being the sound system. Both these models are Japan spec only, if you want one, you’ll have to import one from Japan. Prices for this model start at AED 35,000. Staying true to the original body, there are some modifications to set itself apart including the usual facelift that includes the front grille, headlights borrowed from the SLS AMG, rear taillamps, 19-inch rims and smoother lines. Standard features include leather seats, cruise control, power seats and a four-seat setup. Whereas the optional extras consist of everything in the previous generation and a new drive mode selector to adjust the suspension, engine and sound of the exhaust. Settings are predetermined, or drivers can adjust what they like. A Bang & Olufsen sound system can be added to top level CLS-Class models. Most 2011 models are badged as First Edition’s and are equipped with unique exterior paint, leather interior; First Edition badges aluminium pedals and AMG Carbon Fibre as an optional extra. 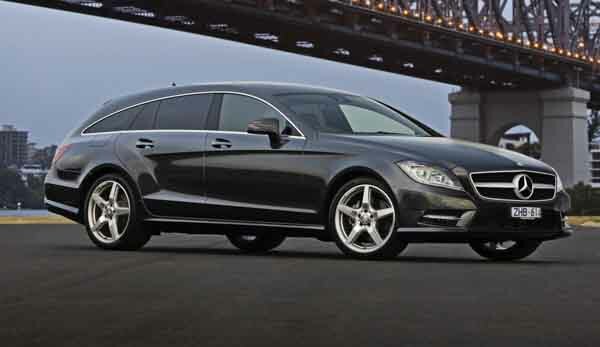 2012 introduced a Shooting Brake or station wagon of the CLS-Class. The first lot of models were badged as First Editions. Both the First Edition and standard Shooting brake feature identical essential and optional extras are available. 2014 CLS-Class models received a facelift. New grille and headlamps are attached with more streamlined body attached. Twelve new safety features came with the facelift including active parking assist, blind spot detection, lane keep assist and adaptive headlight assist just to name a few. CLS 400 models were introduced to join alongside the CLS 63 AMG, CLS 500, CLS 550 and CLS 350. New engines were made available; 3-litre V6 and 3.5-litre V6 for the 350, 4.7-litre V8 for the 500 and 550, and CLS 63 AMG models have a 5.5-litre petrol motor underneath the bonnet. Drive is sent either to the rear wheels or all four wheels via a 7-speed or 9-speed automatic transmission.